Having lots of fun with you mod. Thank you ! But i am having a problem with visitors destroying furniture, particularly Minotaurs, Human fighters and rogues, and Legendary dwarves. I have tried to create a sculpture garden but these visitors habitually come and topple all the statues each time. Hi Buuface. Is the sculpture garden near where alcohol is sold? Are these guys drinking and afterwards toppling statues or just straight away toppling them? Dark Ages III: War & Mythos [44.05] [v37f] [64-bit] has been released. Fixes Arquebus cartridge crafting in Fortress Mode. Haven't gotten the chance to play this mod yet, but it may be something with a stray Building Destroyer tag, having intelligent creatures that can actually roam friendly sites with that tag is just asking for trouble. I've seen it happen in another mod, peddlers and such just barging into the fort to wreck my trade depot because it was there and knocking chairs and tables over in the tavern because they weren't smart enough to realize they should be acting friendly. The tag's a bit buggy like that, it overrides everything. Hi DoktaYut, thank you for reporting this. I suspected something was up with that tag. Still wondering if the mischief is automatic or exasperated by being drunk. Either way, I've removed the tags from heroes. Dark Ages III: War & Mythos [44.05] [v37g] [64-bit] has been released. Stops Legendary Dwarves and Heroes from toppling statues and archery targets in Fortress Mode. Hi actually the sculpture garden is(was) right below the tavern - so its possible that its alcohol related too. Greater Minotaurs - of whom i've had a few visitors - compulsively assault my farm animals and also break down doors/trade depots. I've had to exterminate three of them so far. Likely to be scouts from the Army of the Abyss. They can be visitors, but they can also form sieges against your fort. Clerics also seem to be quite broken. I had some attack me in an ambush and they were constantly raising dead as ancestor spirits then fighting with those spirits. About 3 ancestor spirits engaged with my militia (mostly talented axe-dwarves with steel weapons and Armour) and butchered them all easily. I think I will have to remove the ability from them to raise ancestor spirits if i want to continue playing this save. Clerics are not well tested as civilizations so I second that save edit. I will take a closer look at raising ancestor spirits though. Pets should get more love in v38+. Is this compatible with Dwarf Fortress 0.44.07 or should I wait for the next mod update? Hi Zodex. I haven't pulled the trigger on the 44.07 update yet since Toady One is "out of office" until next month, but it should work fine. -Even better actually, since 44.07 fixes sieges. 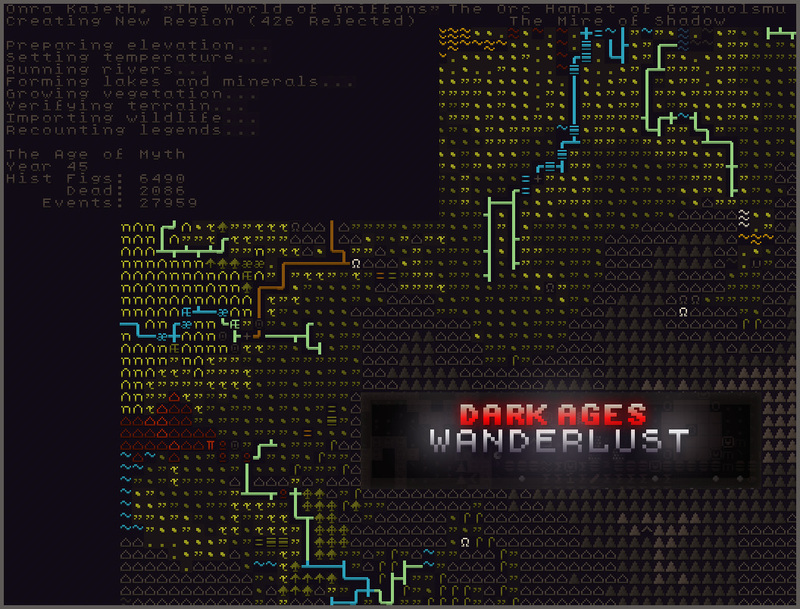 Dark Age has fallen upon the world of Dwarf Fortress. DevLog: Wanderlust/DA:III/44.08 tileset release. 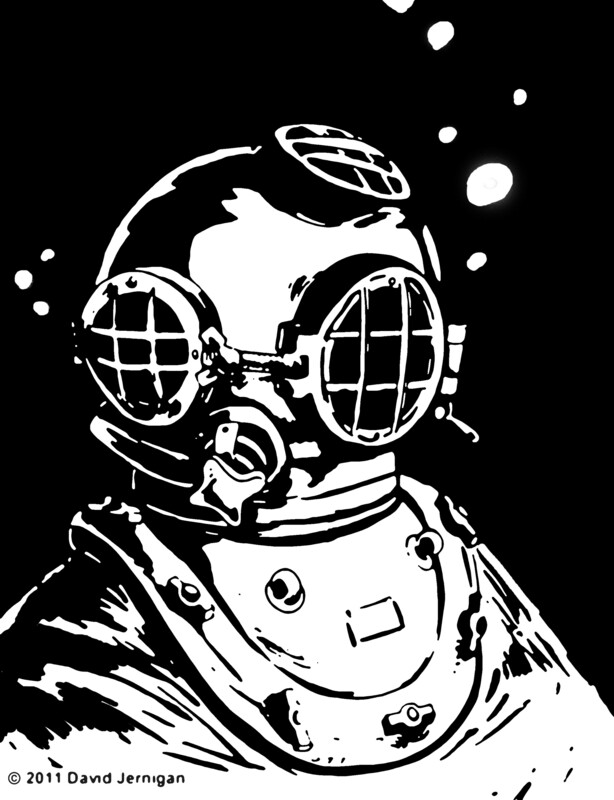 Ironhand tileset and Start Pack will return soon! it simply say "Impoverished Word Selector"
Hi Neothanos. Thank you for reporting this. It's required that you use Advanced World Parameters for DA:III. If you are, let me know which one. We are still in "pioneer territory" right now with Toady One making new releases rapidly.